Part of life at Chidamoyo is visitors in and out. 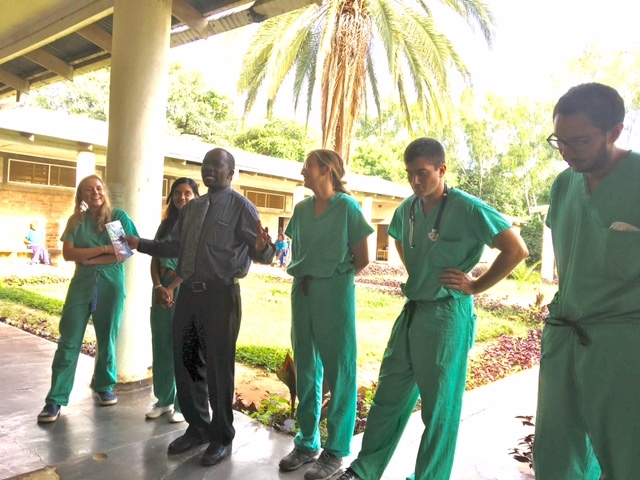 On the 25th of February our 5 Ohio state Medical students left for a few days at Victoria Falls and Harare before they left for home on the 2nd and 3rd of March. 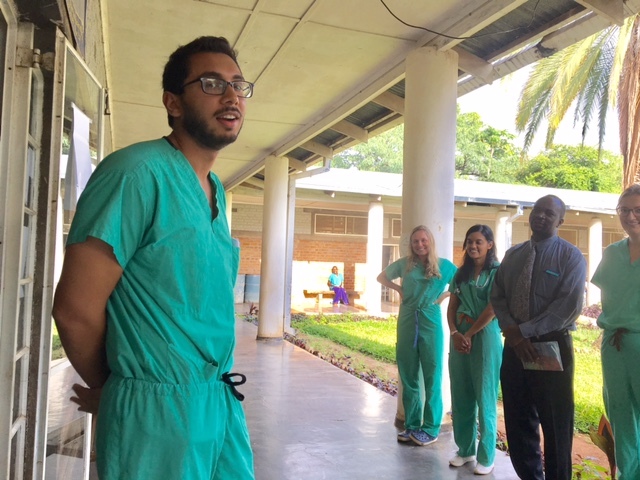 We said goodbye to Muneeb, Seema, Kate, Sam and Sophia and wish them well in their matches for residency and future careers in medicine. 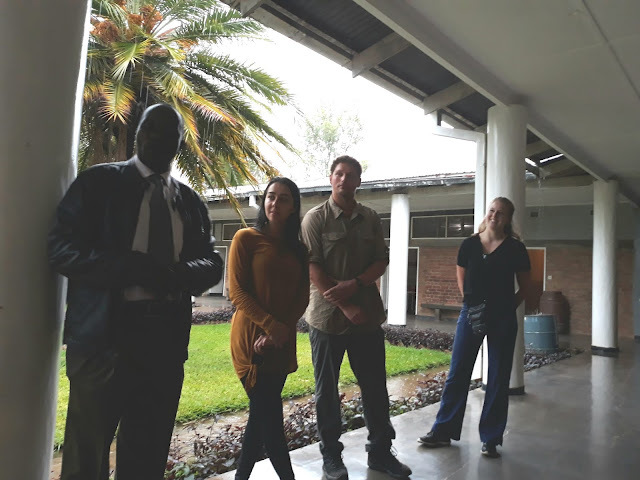 On the 24th of February we had Dr. David Katzenstein from Stanford and Dr. Aunet Rosenthal from Tel Aviv, Israel and Caroline Maposa from Harare here through the 26th. We were discussing our research project we are doing with our 340+ kids on ART treatment for AIDS. We discussed where do we go from now and what are some of the social issues of the kids who are failing on the drugs. It was a fun and busy time. 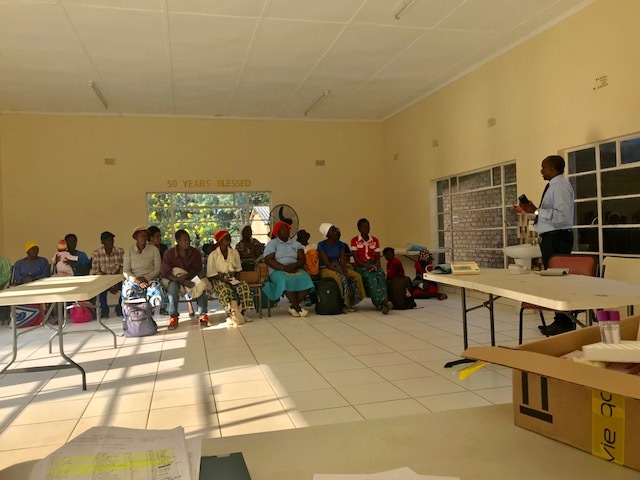 On Monday the 27th we were joined by 3 other Ohio State Medical students who had been doing their elective in Harare and wanted a "bush experience" too. Stu, Jessica and Cindy joined us for 4 days and got to help with a C/Section do some spinals and get a lot of hands on experience. they really enjoyed their time--although we had no electricity until the very last night they were here. They really enjoyed no electricity and no internet!! They also are awaiting their match results on March 17--so we wish all of their anxieties well! On March 5th Megan, our resident from Stanford returned to work on her research project she has been doing with us since August last year. This time she brought Sara and Soren who are from Denmark doing research at Stanford! He arrived wearing a SF Giant hat and T-shirt!! He was very welcomed by me! They are doing a research project here also using a dried blood spot collected on a menstual pad to look at the HPV virus that Megan is studying too. They leave tomorrow to all go for a couple of days of safari viewing at Rhino Camp. Megan and Sara will be back on Saturday afternoon and stay until the next Friday to work on their research in our Lab. Work at the hospital has been very busy as Doctors in the country have been on strike for 3 weeks and nurses for 1 week so many more patients flocked to mission hospitals where we do not strike. Mondays are always a big day and we work hard! We received great news this past week that the government has granted us another post for a doctor so we are accepting applications and will hopefully be hiring a third doctor by the end of the month!! This will be a big help to our work and to me too--no more call-ha! I had a minor procedure done at a hospital in Harare on the 22nd and was out by 1 p.m. Thought I might come back the same day but started not feeling so well and decided if I went over our bad roads I would really get sick by the time we got home. We spent the night at the townhouse and I slept for 11 hours and woke up feeling so much better. Had to have a Foley Catheter for 5 days which wasn't fun but finally made it through that and feel much better! Hopefully this will help me a lot. One of the joys of going to Harare these days is that with all this rain is that the roads are bad and the tarred roads have huge potholes. You feel like you are in a video game with people driving in your lane at you to avoid their potholes and you swerving to miss your potholes. Quite a competition! We continue to have record rains--we are competing with California and actually there were landslides and floods in the southern part of the country. Everyday I go measure from my rain gauge to see how much we get. This blog is nice interms of a doctor's experience. A Junior Doctor is telling about his work and difficulties which he faced when the doctors went on strike. Being a doctor, I do suggest nobody should go on strike during duty.